Well, it’s all go in the patent world again, with Samsung already throwing the toys out of the pram. The Korean giant is attempting to block sales of Apple’s (very) recently announced iPhone 4S in both France and Italy. As is the case so often these days, Samsung is citing patent infringement this time around, claiming that the iPhone 4S infringes on two patents relating to Wideband Code Division Multiple Access (WCDMA) standards for 3G mobile handsets. "Samsung Electronics will file separate preliminary injunction motions in Paris, France and Milano, Italy on October 5 local time requesting the courts block the sale of Apple’s iPhone 4S in the respective markets." Samsung’s press release goes on to say that ‘the infringed technology is essential to the reliable functioning of telecom networks and devices’ which means, presumably, Samsung believes that their patents is integral to Apple’s new smartphone, and that the iPhone 4S cannot function without them. 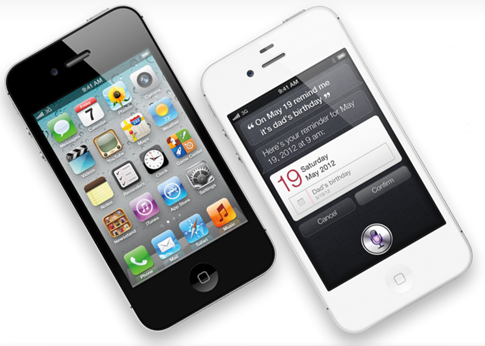 Apple plans to launch its iPhone 4 on October 14th, with pre-orders for the souped-up iPhone 4 beginning on Friday, October 7th. That is, assuming Samsung’s lawyers don’t get a little over-excited and start sending nasty letters to yet more people. Of all the countries slated for the initial round of iPhone 4S sales, Italy is not one of them. France, however is, which means that things could get very tasty indeed in the next 7 days. The other countries who’s names are down on the list for a Friday 14th launch are: Austria, Belgium, Czech Republic, Denmark, Estonia, Finland, Hungary, Ireland, Latvia, Liechtenstein, Lithuania, Luxembourg, Mexico, Netherlands, Norway, Singapore, Slovakia, Slovenia, Spain, Sweden and Switzerland. It’s all starting to get a little nasty in the Apple vs. Samsung patent war, and with this latest attack from the latter, we see no sign of things calming down. I’ll leave you with my personal favorite quote from the Samsung press release. Enjoy!